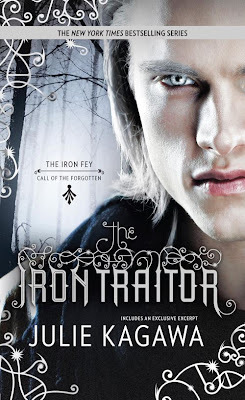 My pick is The Iron Traitor by Julie Kagawa! After his unexpected journey into the lands of the fey, Ethan Chase just wants to get back to normal. Well, as "normal" as you can be when you see faeries every day of your life. Suddenly the former loner with the bad reputation has someone to try for-his girlfrIn the real world, when you vanish into thin air for a week, people tend to notice. But when your name is Ethan Chase and your sister is one of the most powerful faeries in the Nevernever, "normal" simply isn't to be. For Ethan's nephew, Keirran, is missing, and may be on the verge of doing something unthinkable in the name of saving his own love. Something that will fracture the human and faery worlds forever, and give rise to the dangerous fey known as the Forgotten. As Ethan and Kierran's fates entwine and Kierran slips further into darkness, Ethan's next choice may decide the fate of them all. I'm a huge Julie Kagawa fangirl, ya'll. 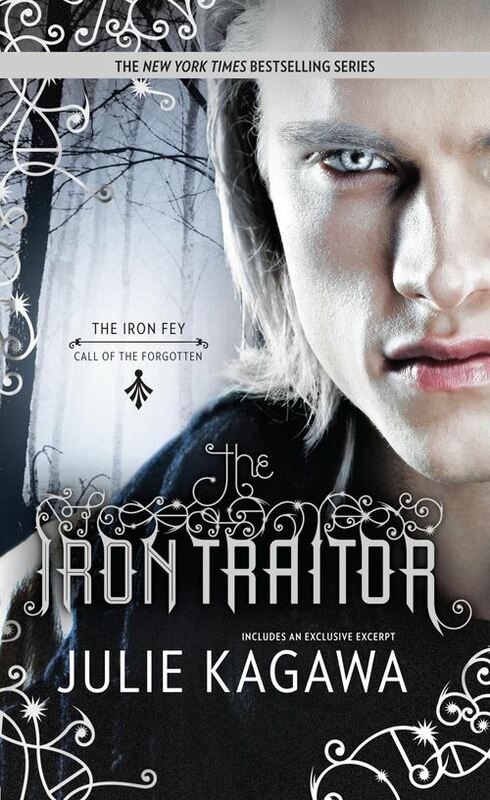 I'm in love with all of her Iron Fey books. They were some of the first YA books I read and are still, several years later, the best series about faeries I've ever read. I'm so excited about this one! I love both Ethan and Kierran and I can't wait for more of their adventures. Ooh, you're so lucky! I requested it from Netgalley a little while ago and haven't heard anything back yet. Hope it's good!